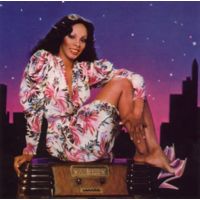 LaDonna Adrian Gaines (December 31, 1948 – May 17, 2012), known by the stage name Donna Summer, was an American singer/songwriter who gained prominence during the disco era of the 1970s. She had a mezzo-soprano vocal range, and was a five-time Grammy Award winner. Summer was the first artist to have three consecutive double albums reach number one on the US Billboard chart, and she also charted four number-one singles in the United States within a 13-month period. Summer died on May 17, 2012. AP reports that she died in the morning at her home in Key West, Florida at age 63 following a battle with breast cancer and lung cancer.